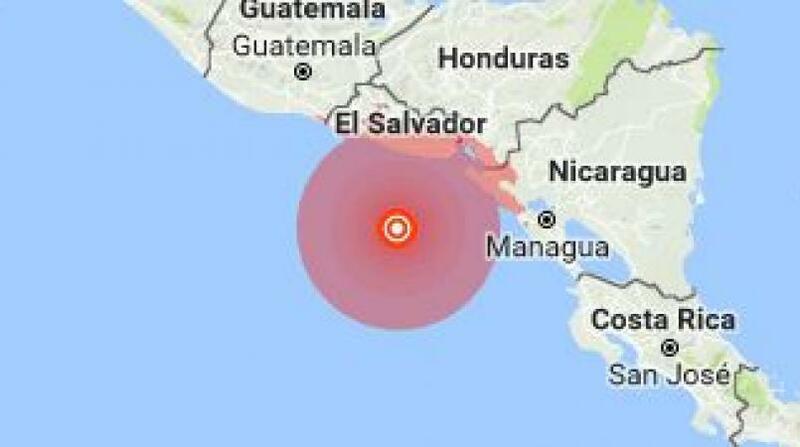 The Pacific Coast of Central America has been shaken by a 7.2 earthquake on Thursday just as a hurricane hit the Caribbean coasts of Nicaragua and Costa Rica, but there were no immediate reports of any quake damage. Emergency services in El Salvador commented on Twitter, that no reports of damage at a national level have been registered. However, those living along the country’s Pacific coast had to withdraw up to 1 kilometer away from the shore. According to the U.S. Geological Survey, its epicenter was located some 149 km (93 miles) south-southwest of Puerto Triunfo in El Salvador. Daniel Ortega, Nicaraguan President declared a state of emergency due to the quake and Hurricane Otto, which landed on the country’s southeastern coast earlier on Thursday. Category 2 Hurricane Otto hit land near the southeastern coast of Nicaragua, where thousands had already been evacuated away from vulnerable coastal areas and into shelters.